Meadow Hall is the regions favourite shopping destination. 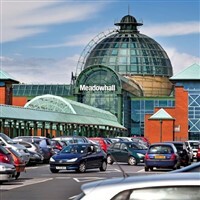 Meadowhall covers 1.5 million sq. ft of floor space and inhabits 280 stores and the impressive Oasis food court where they is plenty of outlets available to have a mid shop bite to eat. Or spend the day in Sheffield the coach will drop you off and pick you before going to Meadowhall.